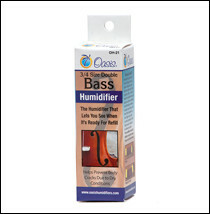 The OH-21 Double Bass Humidifier works with ¾ size or full size double acoustic basses. As with all of our humidifiers, you can count on the OH-21 Bass Humidifier to protect your instrument from cracking in dry winter weather by providing it with the humidification it needs without leaking or hurting your instrument. Its unique Oasis® design makes it easy to see when to refill. 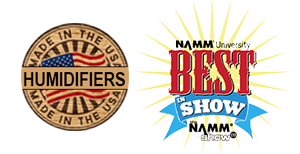 Our OH-21 Double Bass Humidifier is the same size as our other humidifiers, but generates substantially more daily humidity to provide extra moisture this very large instrument requires. We do this by modifying the liner used with the OH-21 Bass Humidifier. This liner provides three times (6 cc) the amount of the daily humidity that is provided by our OH-5 or OH-14 (2 cc) humidifiers. Due to the high humidity output of this humidifier, the unit should be refilled every two to three days. 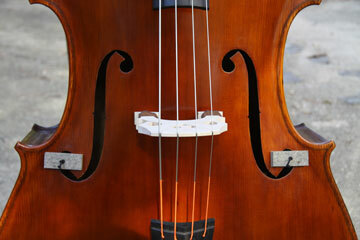 The humidifiers fit inside the double bass through the hole at the bottom of the F hole. This humidifier will not fit every double bass. The opening must be 1 ¼” or larger, so it isn’t suitable for half-size or smaller double basses but fits most three-quarter size double basses. The suspension system is completely new. An elastic cord slips over the neck of the humidifier and is held in place by both tension and the humidifier cap. 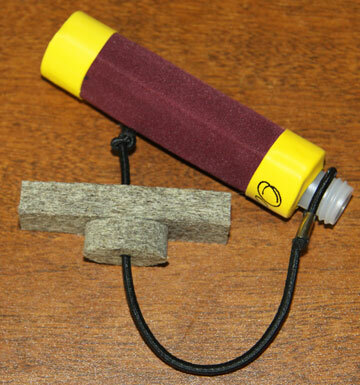 The cord is knotted at the end and extends through two pieces of felt (user-installed). One piece of felt is round and fits in the F hole. The other is rectangular and fits outside the double bass keeping the humidifier from falling into the instrument. A 10 cc syringe is included with the new suspension system with each OH-21 Double Bass Humidifier. 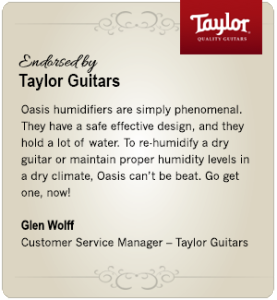 Purchase the original Oasis® OH-21 ¾ Size Double Bass Humidifier today.